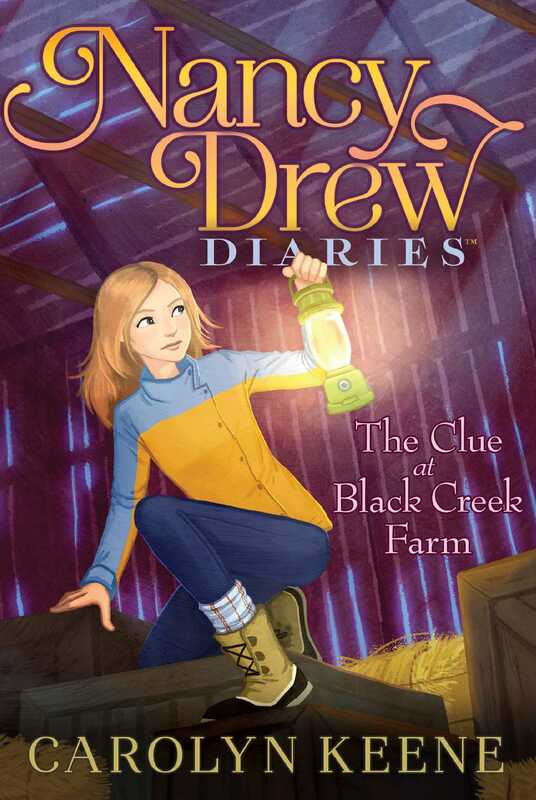 Healthy eating becomes a hazard when a local farm is sabotaged in this ninth book of the Nancy Drew Diaries. Nancy, Bess, and George are thinking about joining Black Creek Farm CSA (Community Supported Agriculture). Sam and Abby Heyworth run both Black Creek’s organic farm and the CSA, a program where people pay to receive fresh fruits and vegetables throughout the growing season. Buyers get local produce at a reasonable price; the farmers get money to run their farm. Everybody wins! But during a fundraising dinner showcasing the farm’s produce, several people become seriously ill, and tests reveal that the fruits and vegetables are contaminated with deadly E. coli bacteria. Sam swears his produce is clean: E. coli doesn’t magically appear in vegetables—it has to be transferred by animals or contaminated equipment. And after the Heyworth’s greenhouse is trashed and their chickens are killed by an intruder, Nancy thinks all signs point to sabotage. Nancy, Bess, and George are on the case. But who would try to ruin a farm? And why?